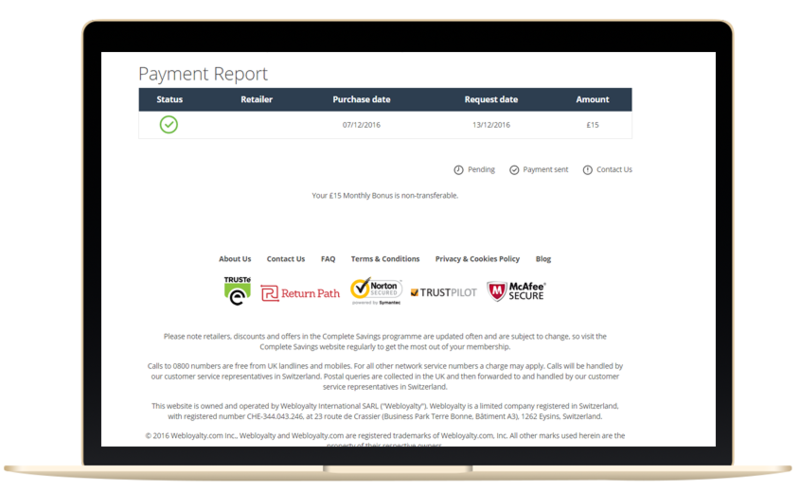 Make a purchase online at the website you originally signed up through, or as otherwise outlined in your membership details. Submit the purchase or booking confirmation online on the Complete Savings website or by emailing it to monthlybonus@completesavings.co.uk. 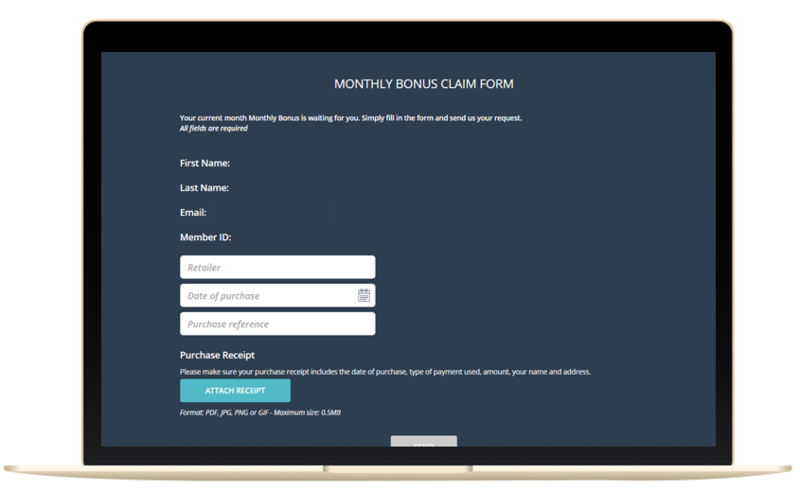 Your account will automatically be credited with your Monthly Bonus. You’ll receive a confirmation email within 48 hours. Your Monthly Bonus will be deposited into your bank account within 4-6 weeks, don’t forget to add your bank details to your Complete Savings account so we can process the payment.